Located at the Finger Lakes Race Track in Farmington, NY (near Rochester, NY). We listed My Two J’s last year after she had been passed through a few trainers since landing at Finger Lakes. Her new connections are officially ready to retire her, as she is still not showing any interest in racing. 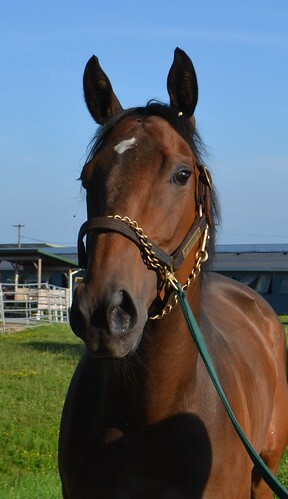 Over many visits our volunteers have taken to the track, J has remained a favorite. She is always super sweet, kind, and gentle when our volunteers have visited her. She is always very quiet during her photo shoots and jog videos. 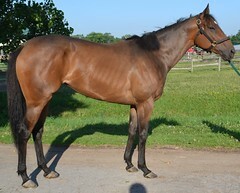 Her trainer reports she has no vices and is overall just a very good girl deserving of a very good new home! In her 20 starts, J has had 2 firsts and 3 seconds. Her last race was 6/16/18 making her RRP eligible. A great home is a must. Our volunteers can’t wait to see her succeed in her second career! 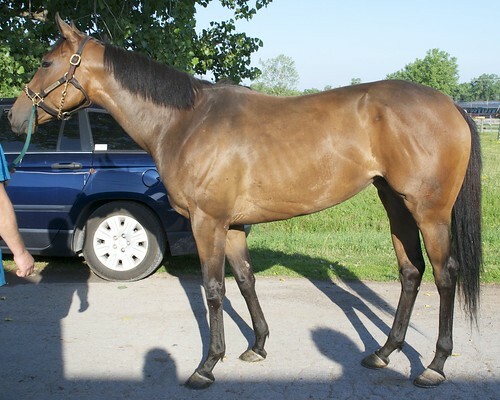 She is by JP’s Gusto out of a Gilded Time mare.